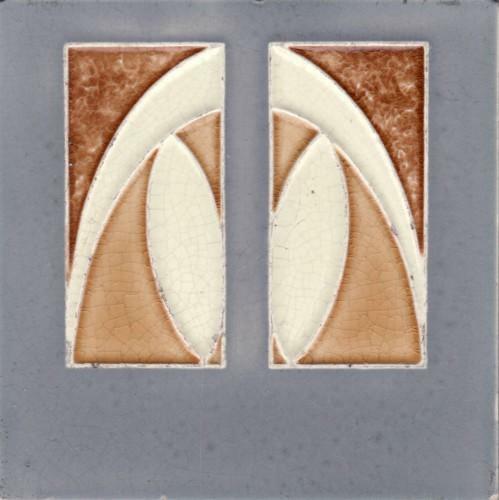 This is an Art Nouveau design done by Villeroy & Boch a German Tile Co.They It is a 5 3/4" tile. Condition is good please see image for details. A few minor bites to edges. A the moment I have a duplicate of this design if any interest. This is best condition of the two.